Entrepreneur.com recently published an interesting piece in which Su Matthews Hale of the the design firm Lippencott explained iconic logo redesigns that her agency handled, as well as some of her all-time favorite logos (Apple, FedEx, NBC). While it’s definitely a good read, it needs to be taken with a grain of salt. Of course, logos are important and branding is important. But what it all comes down to is design. “A company’s logo is its shorthand, a visual cue that tells a story of the brand’s culture, behavior, and values,” Matthews Hale says. But I disagree. I see a lot of startups get bogged down and spend loads of money perfecting their logo when they should be focused on their product and marketing. In the article Matthews Hale goes through the nuances of her redesigns and the thinking behind them. 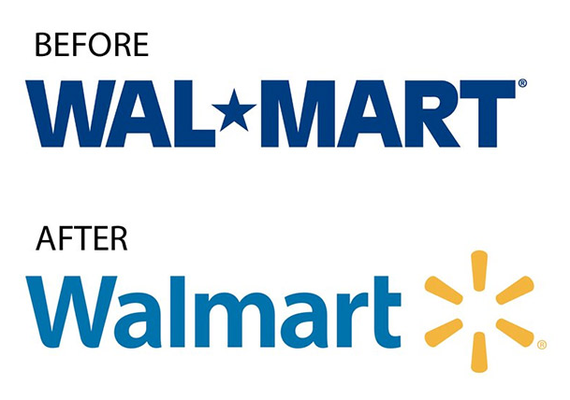 Take the Walmart logo, for instance. It took Lippencott three years to create a new logo design that showcased the brand as “a place where people could wisely spend money and buy premium groceries,” as opposed to a bargain shop. While I respect research and focus groups, I disagree with the great amount of emphasis put on logos. A great logo doesn’t tell the story of your brand; it’s a design decision. An important one that tells the consumer more about the aesthetic of your brand and its voice than its culture and its values. The story of a brand comes through its products, customer service and marketing executions — or how it connects with its consumers in a meaningful way through those outlets. 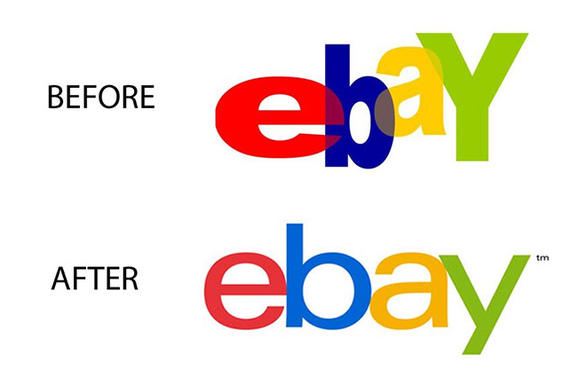 Many iconic brands have redesigned their logos after becoming established. Some, like Walmart, want a fresh start, others, like eBay and Google, outgrow their initial logos and some brands, like Starbucks, change their focus. 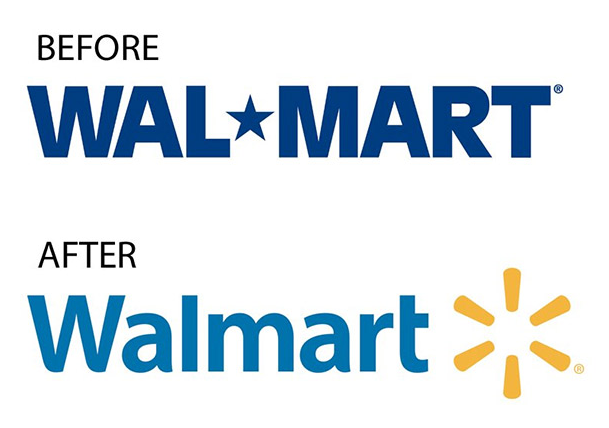 Also, a logo redesign may be reflective of the time, where an outdated design is modernized. What this should tell emerging brands isn’t that the logo is the be-all and end-all of your brand, but rather that a logo isn’t forever. So, if your brand is strong enough to make it, your logo can evolve down the road to reflect your growth or send you off in a new direction. Or, simply put, you can get a better-designed logo, once you have the money to hire a firm!